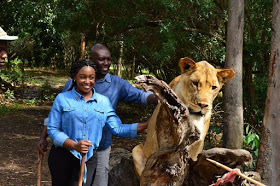 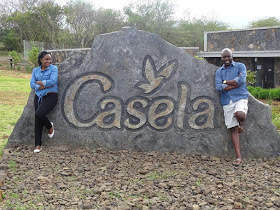 KTN’s fashionable and sassy news anchor, Betty Kyalo and NTV’s investigative journalist, Dennis Okari recently walked down the aisle and they are currently visiting lavish destinations for their honey moon: Mauritius, Diani beach etc. 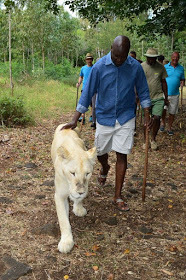 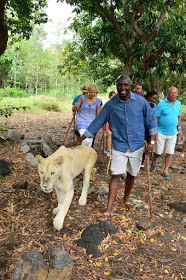 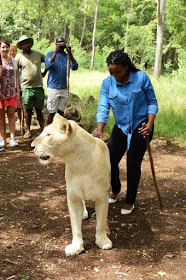 The most 'dangerous' thing we’ve done so far on our honeymoon; morning walk with lions (Matata and Matala) for 45 minutes inside Casela park, Mauritius. 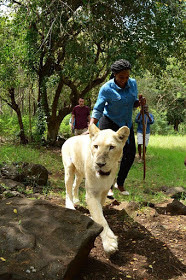 Asante sana African Touch Safaris Ltd. You are obviously the best in planning dream excursions.